 Home › Politics News › APC Panics: Obasanjo Plotting To Rule Nigeria Again Through Atiku.. Oshiomole Cries Out. 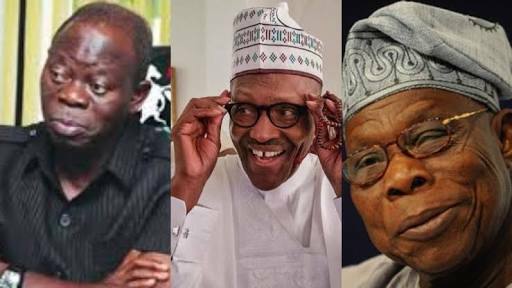 APC Panics: Obasanjo Plotting To Rule Nigeria Again Through Atiku.. Oshiomole Cries Out. Buhari to vanquish Goodluck Jonathan in the 2015 presidential race, the ruling party APC is said to be in frenzy over Obasanjo's open help for PDP's Atiku Abubakar for 2019. The embatttled APC national Chairman Adams Oshiomole has cried out, saying Any endeavor by Obasanjo to come back to control as a substitute will be resisted.